Have a couple of bitcoins on you and hoping to fly abroad with ease and comfort? Think again. 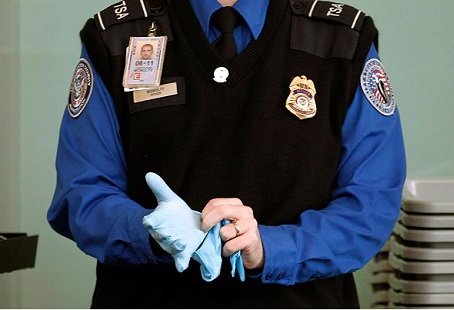 Davi Barker from dailyanarchist had a rough and scary experience with the TSA at Manchester as he was going home from the New Hampshire Liberty Forum. At the end of it all, Barker says that it is very clear that the TSA is searching for bitcoins and that Bitcoin users need to be careful of where they travel, especially if internationally. Barker notes that he was wearing a Bitcoin not Bombs hoodie which had a picture of a B17 bomber dropping Bitcoin. The hoodie did not have the phrase “Bitcoin” on it; only the image of the coins. When he reached the security check, Barker and Bill Buppert from ZeroGov.com, opted out of the full body scanner. They were given full pat downs and had been cleared at the end of them. However, because Barker had lapel pins in his bag that appeared suspicious in the x-ray machine, another agent had to search through his bag. At the New Hampshire conference, Barker sold metallic lapel pins. In one the plastic containers that carried some of the lapels, the Blockchain.info logo could be seen on it. The logo looks very similar to Bitcoin’s, but is not the same. The agent checked Barker’s bag, and viewed all his lapel pins separately. It was then that Barker felt something was wrong. The agent had even asked him if he was carrying coins to which Barker replied in the negative. It was only later that Barker realized what type of “coins” the agent was really asking about. It turned out that the issue was about not carrying over $10,000 if you are traveling internationally. The supervisors wanted to check whether or not Barker was carrying Bitcoin worth that amount. When Barker asked what the supervisors thought Bitcoin looked like, the response was that Bitcoin were “medallions or tokens.” Obviously the two agents had no idea what they were talking about. As soon as the agents realized that Barker was not traveling internationally, the left. Boy, were they wrong. After the predicament, Barker made a voice recording with Bill Buppert detailing the events that occurred with the TSA. It just so happened that as the two were making the recording, one of the supervisors who had questioned him about Bitcoin came walking through the terminal looking as if he was trying to find Barker. The other supervisor could be seen outside of the screening area and it was clear that they were keeping an eye on Barker. In addition to this, two police officers with flak vests and side arms were around the gate where Barker was at. This was all a fear tactic. They wanted to see Barker break down. But, that never happened. It is quite evident from the encounter Barker experienced that the TSA is obviously looking out for Bitcoin. However, it also seems obvious that currently the TSA is not trained so well in what Bitcoin is. It also appears that they are targeting people who have a Bitcoin logo on their person or their belongings. Barker has shared his story in hopes to warn other Bitcoin users to be careful when traveling, especially if internationally. Due to the fact that Barker had a domestic flight, he was let go. Thus the TSA agents could not do anything further with him as it was not in their legal rights to do so. However, Barker was still treated as a criminal by the agents who were trying to intimidate him by sticking close to him.